Scientists at the U.S. Department of Energy's (DOE) Argonne National Laboratory, in collaboration with researchers from Purdue University and Rutgers University, have merged materials science and condensed matter physics in a study of a promising solid material that conducts lithium ions. The transport of ions, or charged atoms, through materials plays a crucial role in many electrical systems—from batteries to brains. Currently, the leading ion-conducting materials are liquid and organic, but the development of solid and inorganic ion conductors could have broad applications in energy conversion, bio-engineering and information processing. In this study, samarium nickelate, a material that is also a solid, was shown to quickly transport lithium ions under certain conditions. The study was published in Proceedings of the National Academy of Sciences. The study reported that for samarium nickelate, the quantum phenomena at play within its molecular structure affect the material's properties on a larger scale, and its unusual structural features can yield favorable electronic properties. In an earlier study, the scientists discovered that small ions, like protons, could move through the samarium nickelate material very quickly. "Then we asked what would happen if we inserted slightly larger ions, like lithium, into the material," said Shriram Ramanathan, a co-author of the study and Professor of Materials Engineering at Purdue University. 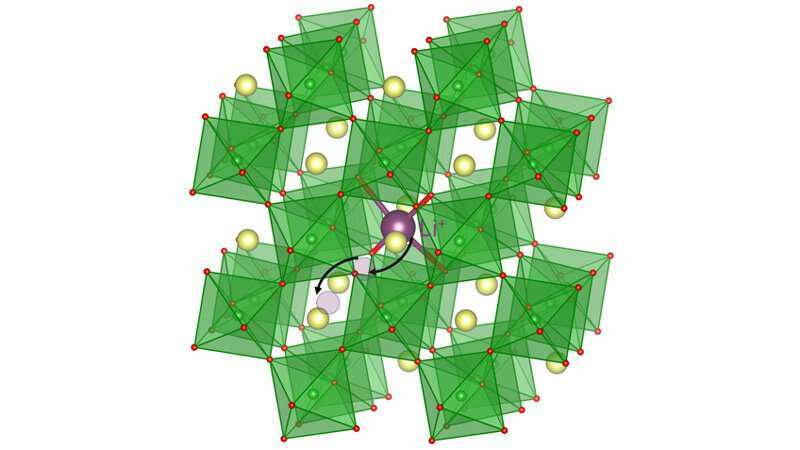 "Because the samarium nickelate can easily shuttle lithium ions through its lattice at room temperature, it has the potential to be used as a solid-state electrolyte in a battery," said Hua Zhou, an Argonne physicist. 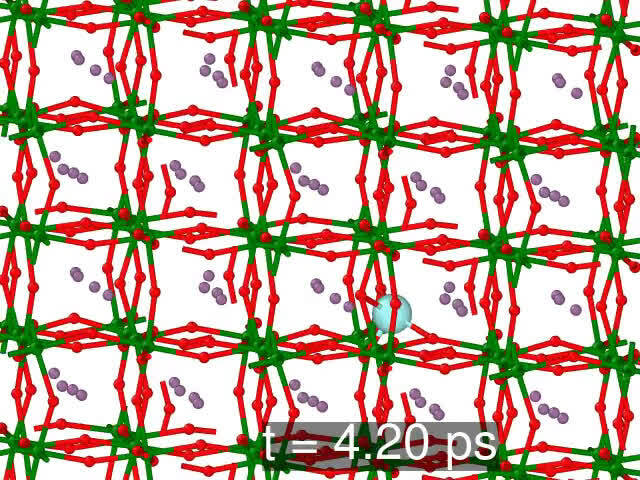 "This falls in the same category as the best solid lithium-ion conductors that we have seen." "We have identified a material that has insulating properties better than liquid electrolytes such as alkyl carbonates, which are commonly used in current batteries, and ion conductivity rare for a solid," said Subramanian Sankaranarayanan, scientist at Argonne's Center for Nanoscale Materials. "It's a rather counterintuitive result that adding electrons to the system makes the nickelate more insulating," said Rutgers University researcher Michele Kotiuga. Kotiuga performed the first calculations to determine how the material's electronic structure changes when introduced to lithium. With these calculations in hand, the team then used capabilities offered through Argonne's unique suite of DOE Office of Science User Facilities—the Advanced Photon Source (APS), the Argonne Leadership Computing Facility (ALCF) and the Center for Nanoscale Materials (CNM)—to obtain a more detailed description of the mechanisms causing the behavior. The team also made use of the National Synchrotron Light Source-II, a DOE Office of Science User Facility at Brookhaven National Laboratory. "Supercomputers are becoming an increasingly integral part of materials design and discovery," said ALCF Director of Science Katherine Riley. "With our leadership-class systems, researchers can explore materials at an unprecedented level of detail, providing insights that can ultimately be used to tailor novel materials for targeted applications." Using the ALCF's Mira supercomputer, the team modeled the dynamics of the system to predict what pathways the lithium ions could take through the nickelate. "Computing the pathways was an important complement to the rest of the research because it helps to explain the behavior we observed," said Sankaranarayanan. "We can use this knowledge to recreate and control these effects in other materials."